New portfolio project! I’m doing a Visual Development Project based on Brandon Sanderson’s novella „The Emperor’s Soul“. 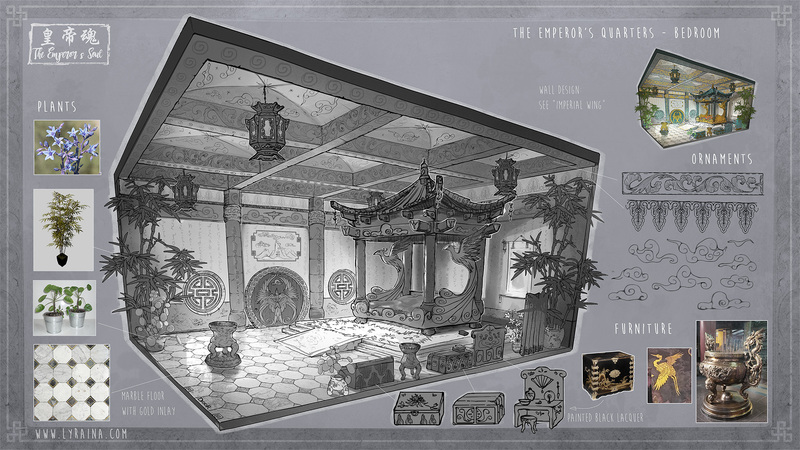 This is the imperial bedchamber. After his injury, The Emperor does not leave this place.